The 15 Best Camping Spots in Nebraska! Looking for a great place to pitch your tent or park your camper in Nebraska? There are plenty of opportunities to explore and enjoy the natural treasures of this state. Whether you’re looking to horseback ride through a beautiful state park or escape to an island, Nebraska brings you a diverse range of options. For a slice of the good life, check out these 15 best camping spots in Nebraska. Plan the perfect getaway at Eugene T. Mahoney State Park. Explore the beautiful forested trails, or head up the 70-foot observation tower for a stunning view of the Platte River and the forest surrounding it. Mahoney State Park is a popular spot for both camping and fishing all year-round. Beauty and peacefulness are two reasons to camp out at the Merritt Reservoir Recreation Area. Surrounded by a beautiful river valley, great fishing and boating are available near the campgrounds. Water from Victoria’s mineral springs was once bottled and sold nationwide. Now, the secluded grounds are the perfect getaway for camping, fishing, and afternoon BBQs. A spectacular spot for camping the fall, Indian Cave is surrounded by lush forests and flora. Set up camp then go out and explore the numerous trails or enjoy horseback riding through this pristine part of the state. Situated at the meeting point of the Niobrara and Missouri rivers, Niobrara State Park offers a wide range of camping and outdoor experiences. From campgrounds, picnicking, horseback trails, hiking trails, and fishing, this modern campground is a must visit. Situated on Nebraska’s second largest lake, the Lewis & Clark state recreation area offers beautiful cabins for staying along the shore of the lake or outdoor campsites with lots of shade from the summer sun. There are picnic shelters, a swimming beach, and excellent boating to enjoy! Located in the heart of the Sandhills, Calamus offers a premium site for camping and fishing. Dozens of recreational activities can be found here and with modern campgrounds, restrooms, and showers, this a great camping escape. Covering 186 acres, Fort Kearny is home to the world’s largest concentration of sandhill cranes and waterfowl in the spring. It boasts excellent modern and primitive camping facilities that are shaded with 100-year-old cottonwood trees. Lake McConaughy is Nebraska’s largest reservoir with spectacular water activities, boating, fishing, and of course, camping. Modern campgrounds complete with shelters, a swimming beach, and fish cleaning stations are all available. As Western Nebraska’s top state park, Fort Robertson is home to beautiful scenery, scenic campgrounds, and the park’s very own buffalo. For a piece of Old West history and fun memories, Fort Robinson is a must-visit. Situated on the south bank of the Platte River near the edge of Louisville, this is the ideal location for campers to enjoy the natural scenery as well as take advantage of the facilities at the Platte River State Park. One of Nebraska’s loveliest recreation areas, the Medicine Creek Reservoir Area boasts 29 miles of shoreline and plenty of outdoor space to camp and get away from it all. Facilities range from modern to just the essentials and there are also a few cabins available with all the comforts of home. A paradise stretching along the eastern Missouri River bordering Nebraska, Ponca State Park offers more than 20 miles of trails for adventurous campers to enjoy. Paved, electrical campsites as well as primitive camping sites are available year-round. Mormon Island was once a popular winter stopover for Mormon emigrants heading westward. Now, the recreation area hosts an amazing gathering of sandhill cranes which draws thousands of visitors each year. 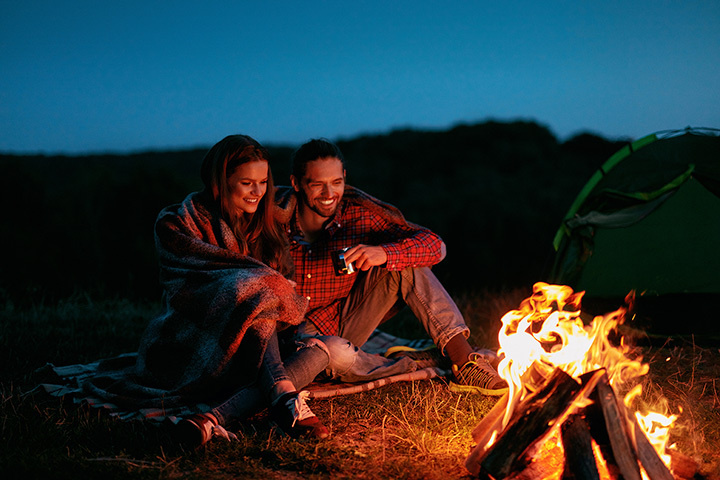 Visitors can stay in modern camping facilities with electrical hookups and more. Two Rivers is one of the only sites in the nation that offers the chance to sleep in an authentic retired caboose. Ten Union Pacific cabooses have been remodeled and restored for a unique lodging experience for park-goers. Additionally, seven camp areas and 209 padded sites are also available for all your camping needs.